If you love biodynamic wine, organic Italian cuisine and crave for blissful serenity, our three day Wine and Spa break will provide you with the ultimate relaxation, set in breathtaking landscape guaranteed to inspire the soul. We have partnered with Tenuta Esdra Spa to offer this exclusive experience combining the beauty of winemaking, organic Italian cuisine and a choice of luxury spa treatments. Light organic lunch upon arrival and check-in at Palazzo Tronconi, time to unpack your luggage and relax in your room. 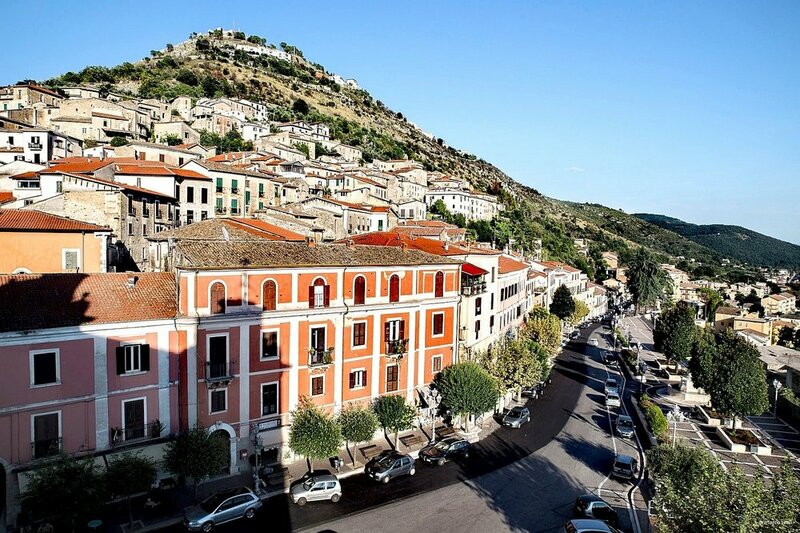 Take a stroll in the ancient cobbled alleys and discover the medieval hill top town of Arce. We will take you to a traditional restaurant where the locals eat or if you choose you may book a one to one cooking class and learn to cook dishes from our regional cuisine the true Italian way. Recipes that have been passed from generation to generation, our classes are fun and informal and enjoy the fruits of your labour in our dining room with a glass or two of our biodynamic wine. A generous breakfast will be served of organic home baked traditional pastries, fruit and more. With our personal guide you will be driven to Casa Lawrence, Set in a stunning landscape the charming Villa named after its famous guest DH Lawrence who was so inspired by the landscape he completed his novel here. The owner also makes one of the best Pecorino cheeses in Italy and delicious cured meats to taste with a local variety of Cabernet wine. Casa Lawrence is truly a hidden gem and epitomises what our region is all about. A dream location, Esdra’s wellness areas are set on two floors. The ground floor houses a thermarium, a hydromassage pool, and an extremely relaxing bath filled with water heated at 37°C rich of minerals. A Turkish bath, an emotional shower and two changing rooms complete the relaxation area. Enjoy a 50 minute massage performed with gentle but deep hand movements, which induce a state of complete wellness and relaxation. The second floor has treatment rooms which can hold couples and singles alike. Sauna, Turkish bath, emotional shower, hydromassag. Esdra’s spa programs boast treatments that combine efficiency and results. From deep hydration to anti-aging, to the care and treatment of damaged and sensitive skins, the most qualified professional aesthetics are at the base of the wellness philosophy at Esdra, an oasis where biocosmetics are used exclusively.